I’ve had another week of being a bachelor. My girlfriend has been off at Glastonbury all week, which has meant I’ve been playing quite a lot of games. Firstly as I said in last week’s Geekly Review I wanted to start a play through of The Long Dark, well I’ve done that, and episode 3 will be being published later today. I’m hoping to get a couple of episodes a week done and I have no idea how long this series will last, but I’m hoping it will be for a while as I do really like playing the game. Check out the series so far. I also picked up a free to play FPS Dirty Bomb from Splash Damage and Nexon. 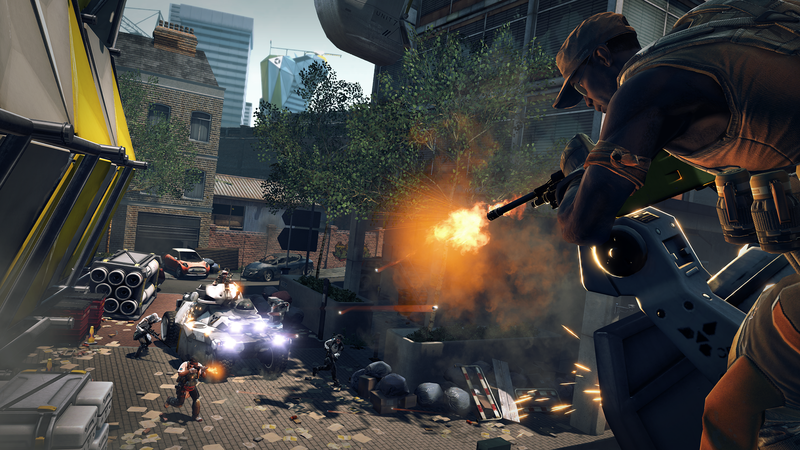 Dirty Bomb is set in London in 2020 in the aftermath of a mysterious disaster where Private Military Companies now battle to control to cities abandoned riches. It’s kind of like Counter Strike – fast paced, no aim assist, difficult to master, mixed with Battlefield – objective based multiplayer maps and specific classes to choose from. The classes are a little different to how you’d normally see them though. Essentially there are a variety of Mercs you can choose from, each one with their own unique abilities – airstrikes, defibrillator etc… With each Merc you can upgrade them by unlocking higher tier cards dropped from cases (think weapons from Counter Strike). There are different levels from Stone and lead up to Gold and Cobalt. The higher the card level the better your stats become. You can also combine a number of lower level cards to create a higher level version. It’s a nice new take on upgrading, but some people might not like it as it’s basically down to RNG. I’ve played it for a couple of hours so far, and I’ve really enjoyed every minute of it. It’s not difficult to pick up, and you can start to get some decent performances in pretty quickly. The game is in open Beta at the moment so it isn’t finished, but things are already looking pretty good for it in my opinion. It seems like a game that has done F2P right. Over the weekend I popped over to see Murr, we basically just geeked out all day. 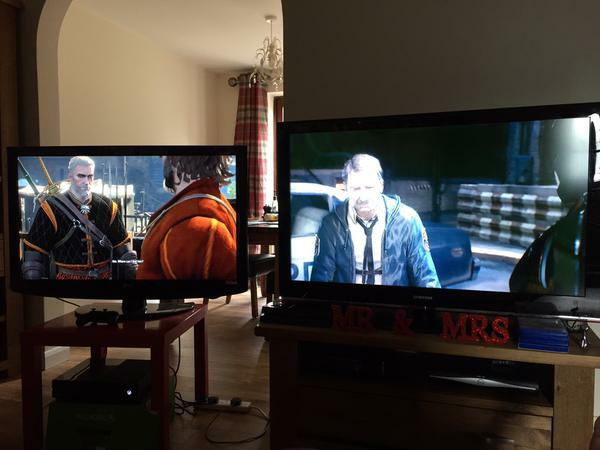 I carried on playing some of the Witcher 3 whilst he got on to Batman (I’m sure he’ll talk more about this). We also played a few tournaments on Fifa 15 and managed to take England on to win the World Cup. Along the way we scored some pretty amazing goals, including this little gem. Fifa, whilst it has its problems and doesn’t really change all that much each year, is still a great couch ‘co-op’ kind of game. Playing with your friends and scoring last minute goals really does make you jump out of your seat sometimes – me and Murr definitely did, especially against Chile, scoring in the last minute to take the game to extra time to then win the game 4-2. 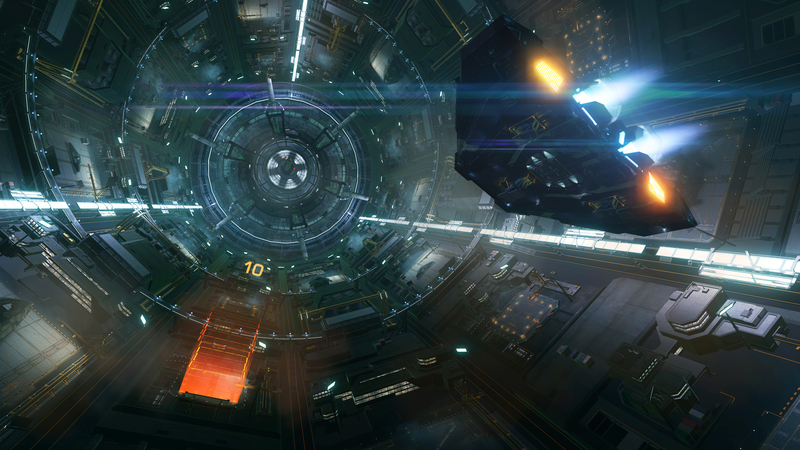 I also played quite a lot of Elite: Dangerous on Xbox One. For some reason I’ve really got in to it a lot more than I did on PC, and I’m having a blast playing it. I’ve decided to start doing a dairy type series documenting my journey through space. Part of the reason for this is because the Xbox One Elite: Dangerous subreddit /r/EliteOne recently announced that Leesti would be the home world for everyone there. I’m therefore going to journey there and see what happens along the way. It’s about 137 light years from my current location, so it could take a while… But it should be fun! I’m hoping to start this series probably later this week, so keep your eyes peeled for it. Well Friday was payday, and rather than spending all my money on Lego like I did last month, I opted to spend all my money on Amiibo. I did also pick up Batman Arkham Knight too on Friday. 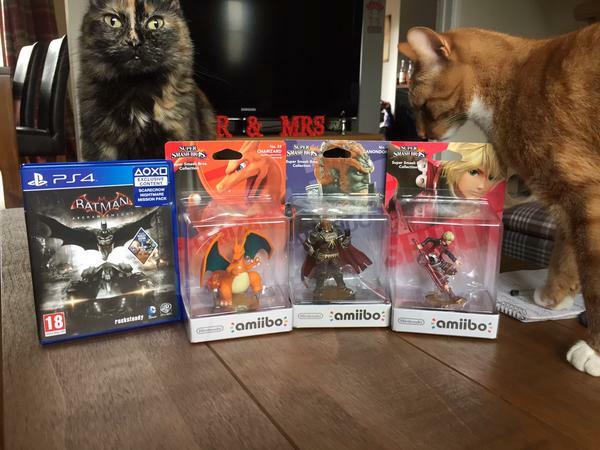 I also bought Lucina and Robin Amiibo… Addicted much? So Friday my wife was out at a leaving meal and drinks with some of her work colleagues and seeing as I’d bought Batman, It’s not to difficult to guess what I did Friday evening. So after one night with it I was pretty impressed with how it looked visually and was loving the Riddler side quests. Unfortunately though you can only get so far doing the side-quests before not being able to get the Batmobile over to one of the islands so I had to carry on with the main story line some more. Not a bad thing though. As Will mentioned, on the Saturday he came round as my wife was off again to another Hen do. So we set up shop and spent the day gaming, eating junk food and drinking beer. Having completed The Witcher I was trying to egg Will on to play it more so I can actually talk about the game, but he kept getting distracted by Gwent, and then eventually switching to Elite. I also tried to encourage him to buy Arkham Knight, but he managed to resist the temptation. After seeing Will play Elite I have to say I like the look of it. But not having a decent PC or an XboxOne it’s a game that i’ll have to wait to find it’s way to PS4. I carried on with Arkham Knight some more till we played FIFA, then back onto Arkham Knight after that till the early hours of the morning. By this point Will had given up gaming and just watched with our friend Ryan me play Batman. As for Sunday we attended our friends daughters christening. I had to leave early as I had plans with my sister and nephew visiting an American car show which was actually really damn awesome. Once back I carried on with Arkham till around 11pm and then called it a night. I’m about 70% through the main story now, so when I get back to playing it I’m going to focus on the side quests now and get as many of these done as I can. I’m sure a lot of you are already aware, but Bungie had a pretty terrible week for PR. I voiced my opinions on it all here and here. With E3 2015 now behind us we took the time to look back at our best and worst moments from this year, read about them here.